Based on the book, The Nutcracker and the Mouse King, by E.T.A. Hoffman (1816). 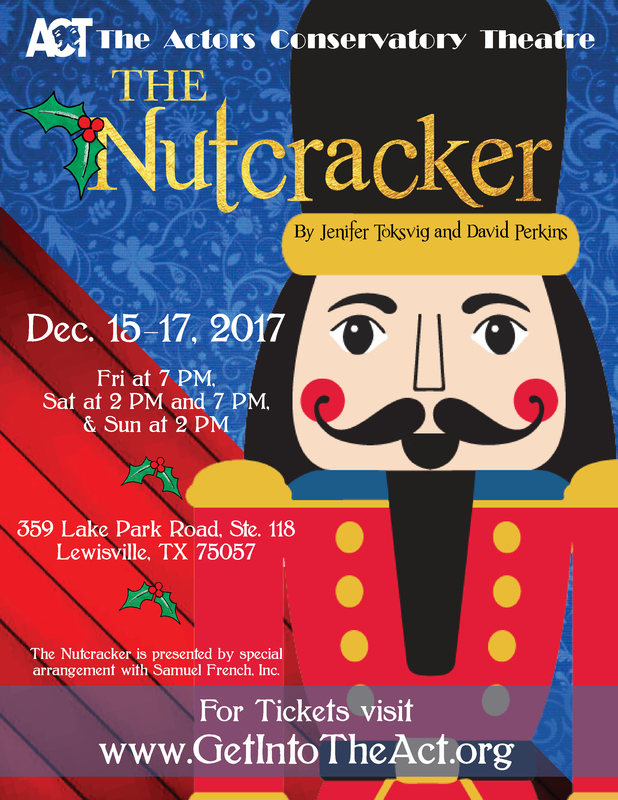 Throughout the world, the story of The Nutcracker is best known as the ballet written in 1892 by Russian composer Pyotr Ilyich Tchaikovsky, who adapted it from the 1816 novella by Ernst Theodor Amadeus Hoffmann entitled The Nutcracker and the Mouse KIng. In this magical musical play, Hoffman’s tale is told yet again, with all the familiar characters brought to life in a new way that is accessible to all ages. Book, Music, and Lyrics by David Perkins and Jenifer Toksvig. Based on the book, The Nutcracker and the Mouse King, by E.T.A. Hoffman. The Nutcracker is presented through special arrangement with Samuel French, Inc. The land of Make-Believe was alive and well in our Christmas musical! Congrats to our cast and crew for a fabulous show!